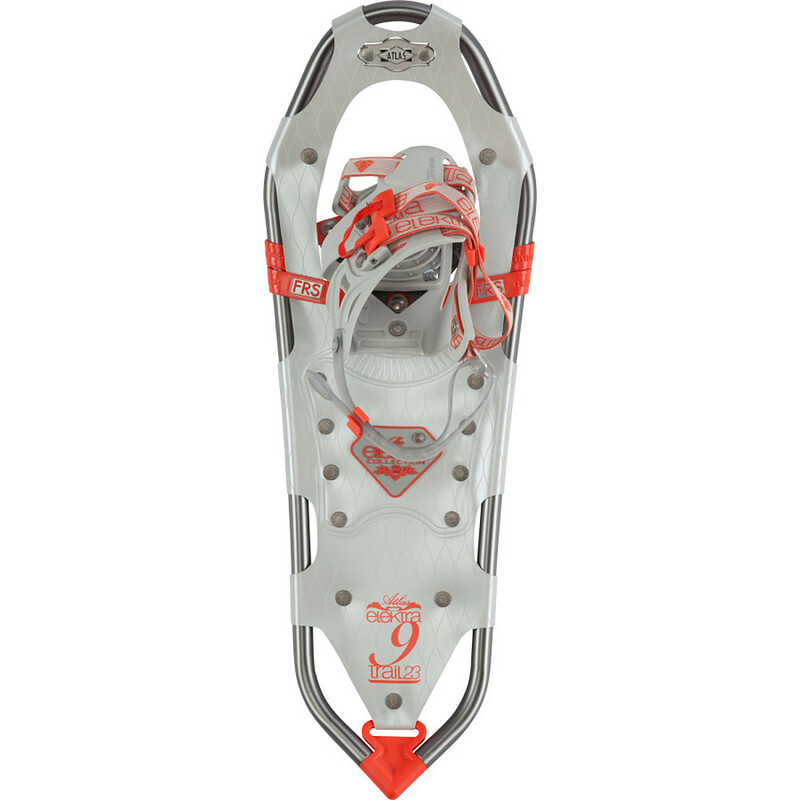 Granted, these are my first pair of snowshoes, but I am quite pleased with them! I thought they perform well and I don't have the problem of snow being kicked up from the back. I've done just a little running with them so far, but hope to do more. All I remember about snowshoeing were those horrible wooden, tennis racket/boat things we wore in Phys Ed in junior high 30 years ago. 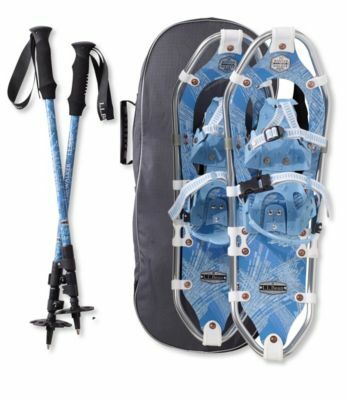 Based on friends telling me I had to try it again and hoping to be able to try some snow shoe running or at least maintain some cardiovascular fitness over the winter, I found these for a good price. I was immediately surprised how light they were and happy that I didn't need to use a wide stance while walking with them. Defininitely proportionate to women's bodies. Straps were easy to maneuver when warm (putting them on) but tougher to take them off when cold. Maybe that's the norm for all of them? 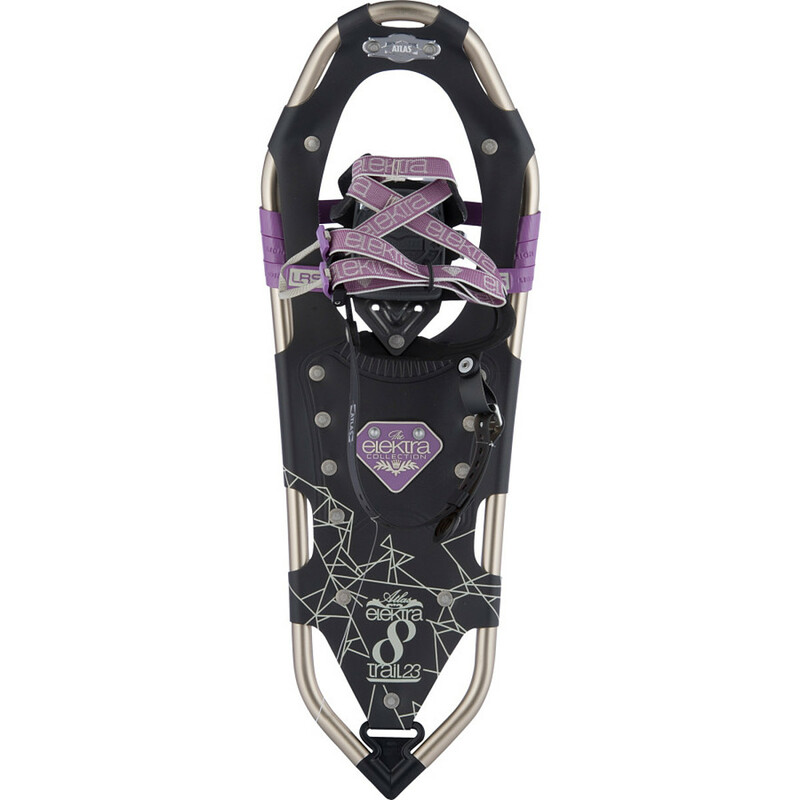 Crampons seem substantial and I trust them for hills and icy areas. Anxious to start running in them. 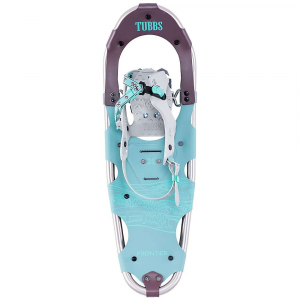 I originally bought them as an entry level snow shoe, but I'm thinking they might do the trick for all I want them to do (hiking and running). So far, very happy with them! Terrible design. 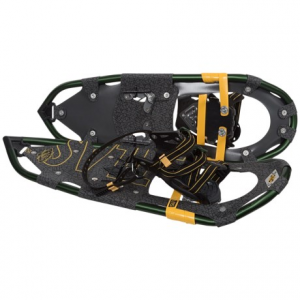 The open spaces in the back collect snow, and the suspension mechanism flips it up. I was soaked in less than 10 min. Also, the hard plastic binding is hard to fit when it's cold--it gets stiff and unruly. 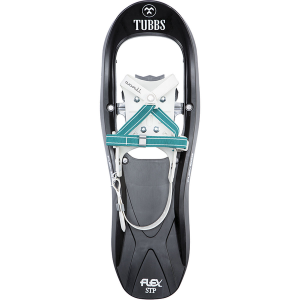 My husband has Tubbs and I used them without any snow flipping, and a very easy, comfortable fit around my boots. Would not recommend this product. Back to the drawing board, Atlas. The Atlas Elektra 9 Series is not available from the stores we monitor. It was last seen December 1, 2017	at Mountain Gear.